There are a number of Business Support Organisations (BSOs) and membership bodies who can support your business to grow and expand. There is a wide ranging offer from training and workshops to strategic planning and financial advice. Be The Business aims to inform, educate and collaborate with the businesses of Britain to restore us to the forefront of business performance worldwide. 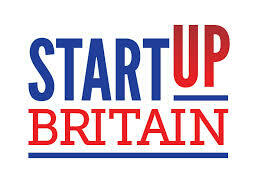 StartUp Britain is a national campaign by entrepreneurs for entrepreneurs, harnessing the expertise and passion of Britain’s leading business people to celebrate, inspire and accelerate enterprise in the UK. They offer inspiration, resources and guidance to pre- start ups, start ups and growing businesses. East Midlands Chamber offers a wide range of services for members and non-members to support business growth in Leicester and Leicestershire. FSB offers a membership benefits, including services for business growth. Offers supports the UK’s most ambitious businesses scale up. The 18month programme facilitates structured engagement between the participating companies, business leaders, corporate advisers and the investor community. Leicester Creative Business help creative and technology businesses across Leicester & Leicestershire that want to grow. Pioneer 10 offers a free ½ day business strategy and growth planning session to any small business. NBV’s Grow Your Business clients can access: mentoring and coaching from an NBV Business Adviser, Business Master Classes, peer to peer networking opportunities. Supported by UK Space Agency, the LU Space Incubator provides support for start up businesses across the breadth of the sector including both upstream and downstream. Medilink EM provides specialist support to boost the region’s economic output from the life-sciences, healthcare, medical technology and bioscience sectors. The Leicestershire Textiles Hub is working to support local textile manufacturers and to identify the needs of the sector. This free site offers businesses access to a list of quality-assured business mentoring organisations across Britain.